I don’t know about you, but certain music has always been the soundtrack to my life. From gospel at an early age, to contemporary Christian artists, to rock and popular music, the tapestry of my life has been painted with various paintbrushes wielded by lyricists and musicians who will probably never know the influence they have had and continue to have on me. Yes, I went through my phases with two-step, and dancehall, and even ska, depending on my relationships at the time, but one thing has remained steadfast for me: a great album is a great album regardless of when it’s played. The primary characteristic of a great album (and not just a collection of songs) in my mind is that there’s a resonance from start to finish, that it flows together seamlessly like a well-tailored garment where I don’t know where it began and where it ended. 1. 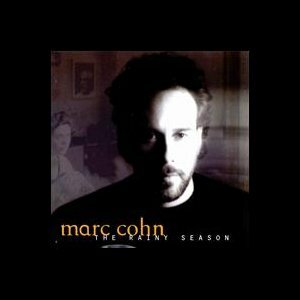 Marc Cohn – The Rainy Season. Yes, the “Walking in Memphis” guy, but he’s so much more than that. In fact, by the time I discovered him the year was already 1995 and I had never heard the iconic song. In fact, my favorite music right then was Alanis Morissette, the kind of angst that made me put on the huge headphones and scream at the top of my lungs. So the idea that some “old-school” singer-songwriter who relied on a piano more than a synthesizer or an electric guitar was somewhat ludicrous to my teenage self. But there he was anyway, when I stumbled upon a CD that shouldn’t have even been available to the public. It was a collection of songs that were being marketed to radio stations, and it should have been at a radio station, but instead someone had sold it to this hole in the wall used CD shop (probably for a pittance). I recognized a few artists on it, so I bought it for a buck. Best buck I ever spent. 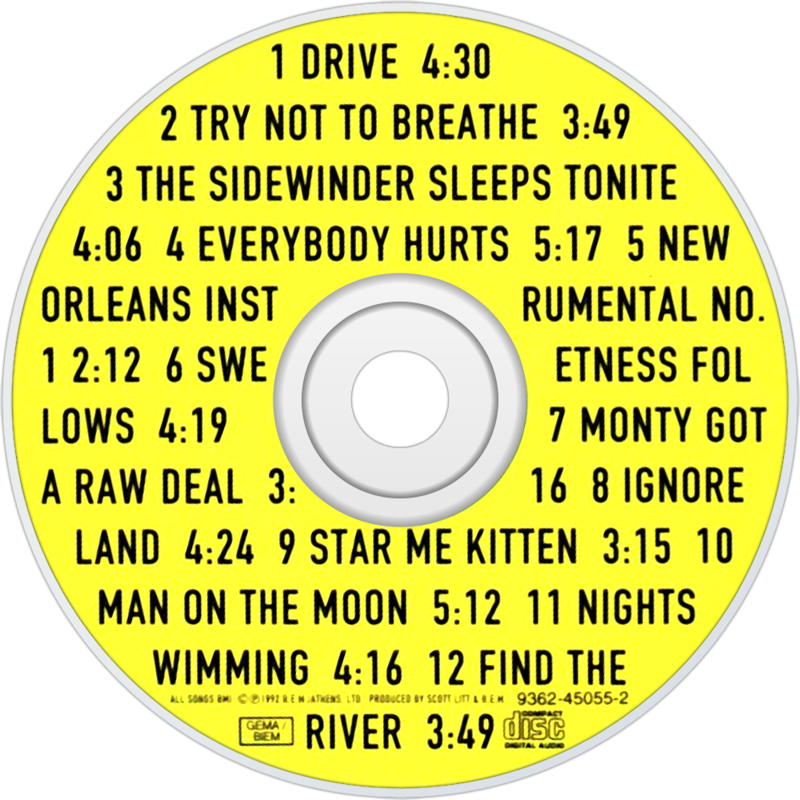 Somewhere in the middle of that CD’s tracklist, which was broken down into genres, was a song they weren’t able to separate into a genre. The song was called “Ghost Train” and it was so hauntingly beautiful that I couldn’t move past it once I stopped on it. Indeed, it was several months before I even heard the whole back half of that sampler CD. I was hooked on his voice, on his melody, on his piano playing, and on his lyrics. I had to own the album the song really came from, so I searched the world around (okay, the greater Philadelphia area) until I located a used copy of The Rainy Season, Marc’s second CD and bought it for a dollar. Second best buck I ever spent. From start to finish the album was as perfect as “Ghost Train” had hinted at. I’ve since recommended it, and Marc Cohn, to anyone with a pulse. 2. Depeche Mode – Songs of Faith and Devotion. That song hit me over the head with its straightforward lyrics and pounding repetitions, but what really stood out to me was the painful, gut-wrenching performance by the lead singer (who I found out later didn’t even write the lyrics — astonishing), so understated and yet still so powerful, that stirred something in my soul. But it would be three years later before I finally saw one of their albums in a used CD store, and its cover stood out to me before I even realized it was the same group that sang “Personal Jesus.” That album was Songs of Faith and Devotion, and it had a hole cut out of its barcode, but that didn’t bother me. I bought it without listening to even one song, took it home and listened to it start to finish. Before I even finished the first song I knew I had heard that voice before, and it brought back all of those memories. It still does. 3. David Bowie – Space Oddity. I can’t even begin to tell you what it feels like to listen to David Bowie, circa 1969, if you’ve never done it. Experimental as hell, and definitely talented even from the outset, Bowie was probably high from start to finish recording this record, but maybe it wouldn’t have been so intense had he been clear-headed. My favorite song from the album is “Memory of a Free Festival,” (the long form version) and it’s a rambling masterpiece of fuzzy haze and imperfect rhythm. But it’s beautiful. The last three minutes of the song is just the refrain “The sun machine is coming down and we’re gonna have a party, uh huh huh,” over and over again, and I sing along every time. What can I say about David Bowie’s influence on my life? His songs tell a story that reminds me of my own, the search for where he belongs, and the joy of finding it and celebrating his individuality. 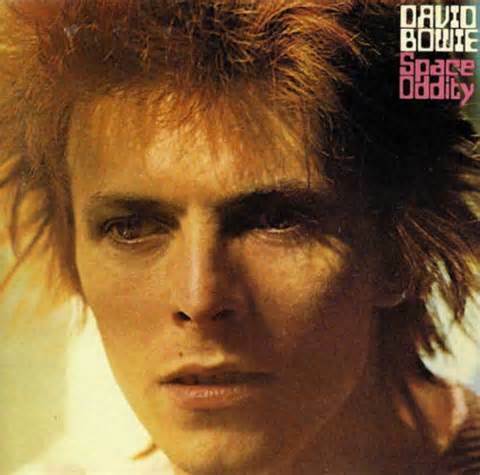 Space Oddity is the journey, plain and simple. He had no idea at that point where he was headed, and when I discovered this record neither did I. I had no clue what life had in store. I was still in my teens and wanting to rebel, but also wanting to find acceptance wherever I could. When I listen to the album now I am transported back to the early part of the journey, and I can’t help but smile. It’s just as important as the destination. Oh, and if you’re interested in hearing Bowie’s destination, when he finally figured it all out, check out Pin Ups. 4. 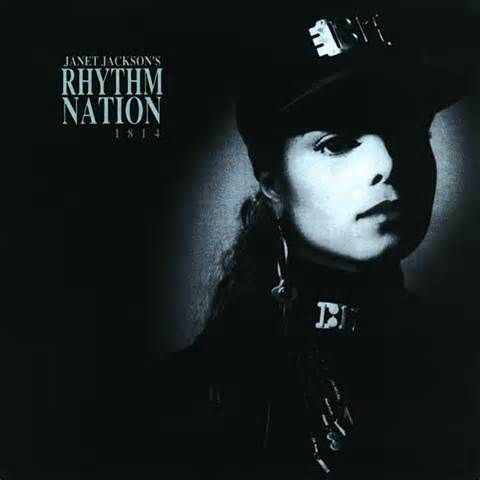 Janet Jackson – Rhythm Nation 1814. I recall sitting in my friend’s high school dorm room while he balanced the sheet music to the title song from this album on his pillow and played through the opening melody on his keyboard. It fascinated me, not that he could read sheet music, but that a regular person could replicate a sound that I had only heard before on a world class record. It wasn’t long after this that I fell in with a regular group of musicians, but that first time hearing a song like that repeated by “the common man” was breathtaking to me. He showed me afterwards how to place my fingers just so, and I too was able to tap out at least the first five beats of the song. I was hooked. But it wasn’t the replication that hooked me. It was the song itself, and the album, that drove me to distraction. You see, this was back when I was first discovering secular music, and the extent of my knowledge was pretty much Paula Abdul, MC Hammer, and Michael Jackson. Oddly enough, I felt like listening to Janet was a slight to Michael, as if I could only like one musical member of a family, but I eventually got over that thought, and it was Rhythm Nation 1814 that did it. It was Janet’s devotion to history, to the future, and to her undeniable causes that finally turned my head and made me really give it a listen. What I love most about the album is her commitment from start to finish, and the indelible hand of masters like Jimmy Jam and Terry Lewis who helped guide her. Listening to that album now still inspires me. Every single time. 5. 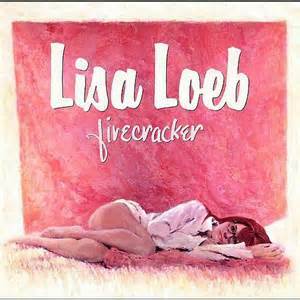 Lisa Loeb – Firecracker. She’s definitely quirky. That’s probably the best way I can put it. But even though she’s quirky, she’s not a joke. Her songs are layered, and the top layers are poppy and “fun,” but dig down deep a little bit, peel the onion, and you can see that she’s as serious as a heart attack. It’s amazing really to listen to any of her records, or even to see her live (which I’ve done, and it was wonderful), because that quirky nature lends itself to some real tongue-in-cheek references and killer lyrics. And while her first album, Tails, hints at some of the depth she can achieve, her second album, Firecracker, thoroughly explores it at length. Unlike the previous records, this one I was all over from the start. I had seen her video for “Stay (I Missed You)” on the video channels, and I was fascinated with her ever since then. When I found out Miss Loeb was going to have a second record coming out I stayed in the loop and was one of the first to buy it from our downtown HMV store the day it was released. From the start I was hooked. In fact, it was the only album I played for about a week nonstop after I bought it. The greatest thing about it is that I don’t have to be in a certain mood to listen to it. When I’m down it lifts me up. When I’m up it keeps me up. When I’m introspective it digs down deep with me. And when I want to gloss over the world with candy covered bubble gum this album blows the bubbles for me. 6. 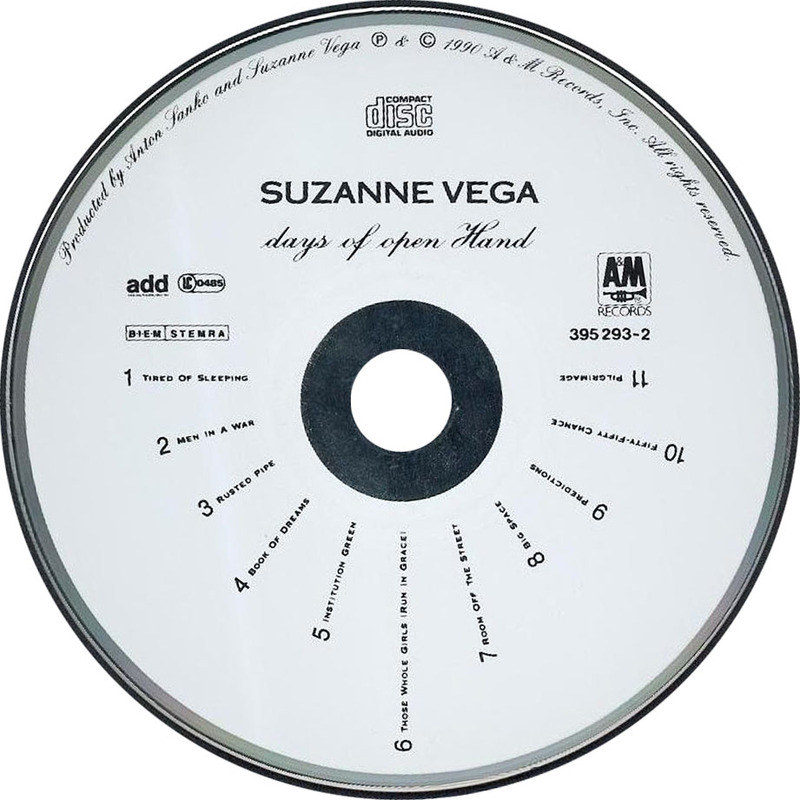 Suzanne Vega – Days of Open Hand. Sure, Solitude Standing gets all the credit, but it was this record that really cemented Suzanne Vega as the queen of storytelling. She’s popular and yet not popular at the same time, and every single album she has ever put out is this mix of musicianship and storytelling that is unparalleled. I heard “Tom’s Diner” ages before I ever listened to another one of her songs, and that one got stuck in my head. I found myself humming it (after only one listen) over and over again, and I just had to get that album. And yes, while Solitude Standing is a fine record, it wasn’t enough for me. I had to get more, to capture that voice as many times as I could, like lightning bugs in a jar. So I paid full price for Days of Open Hand (I couldn’t find it in any of the used CD shops), and I never regretted it for a moment. From the opening beats of “Tired of Sleeping” to the plaintive final strains of “Pilgrimage” the album just doesn’t disappoint. Vega is in full songwriting form from start to finish, and the songs blend into each other the way any great album’s songs should. While it evokes many of her other albums and songs, it also stands on its own, something that I never take for granted. In fact, I’m listening to it now as I type this and it still stands the test of time, deep and insightful even for this day and age. Simply genius. 7. R.E.M. – Automatic For the People. They set out to make a hard rock album. They were prepared to do battle with huge guitars, soaring vocals, and a wall of sound. But instead they made probably the quietest, most intimate album of their career, and it is quite perfect in most every way. There’s just something about Automatic For the People that just makes me smile, even now. Those acoustic guitars give each of the songs levels, and also accentuate Michael Stipe’s voice. That epic mumble is lost on just this one album as the clarity of his vocals is blinding, especially on “Everybody Hurts,” the centerpiece of this incredible work. I love everything R.E.M., and they finally did make that hard rock album with Accelerate sixteen years later, but this one was a gift, an honest-to-goodness gift. After such radio fare as “Losing My Religion” and “Shiny Happy People,” it was about time they did something intimate, something just for them, and by extension for those of us who knew they always had this in them. I spoke of haunting when talking about Marc Cohn earlier, and R.E.M. embodies this sentiment perfectly throughout this album. It’s quiet but definitive at the same time, from the build-up of “Drive” to the beautiful melody of “Nightswimming,” to the experimenting nature of “Man on the Moon,” there is just so much contrast that doesn’t really contrast, that fits together naturally like puzzle pieces. It’s beautiful to listen to with the headphones on and the world tuned out.